If you need a dog bite attorney in New York to represent you or your loved one in a personal injury case, you need the top lawyers in New York. The laws in the state include deadlines for filing in a civil court, the dog bite statute, and the use by the state of both dog bite laws. With so much at stake and so much to include in a case, your best bet is to have New York’s top attorneys Perry & Aronin representing you. In addition to the physical repercussions of a dog attack, there are also the mental reactions of the victims that may very well require professional attention as well, as many victims suffer emotionally after an attack. Especially if a victim is a young child, a common lasting effect is a fear of dogs, a fear of leaving the house, and separation anxiety, among others. Victims of dog attacks must file their cases in court within three years of the date of injury; this is the statute of limitations for bringing a civil case to court in New York for personal injuries. It’s important that you retain our attorneys and file your case before the statute of limitations is up, or the courts may prohibit you from filing altogether. Dog bites are included in Section 121 of the New York Code, which states that the pet owner is liable for the medical costs of injuries sustained by an injured party from his or her dog, whether it be to livestock or a person. This is strict liability law. 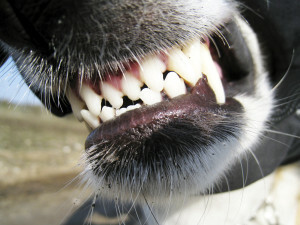 In effect, New York uses a combination of strict liability and negligence for dog bites. For other costs beyond medical bills due to a dog bite injury, the state follows negligence laws, and the owner is only liable if he or she failed to use reasonable means to control the dog. For the most part, in order for injured parties to collect damages beyond medical cost reimbursement, negligence must be proven. You need an experienced, knowledgeable NY attorney. There are many possible defenses that dog owners in New York can raise when they are presented with a dog bite claim or lawsuit. A dog might not be labeled as a “dangerous dog” under the law if any number of stipulations, criteria and exceptions are met. For example, if the dog was being physically threatened, or it was responding to an injury, protecting its owner, or protecting property from a trespasser, the defense may be successful. It is precisely for these reasons that you need attorneys to aggressively represent you and your best interests in these cases. Perry & Aronin have over 40 years of experience with New York law, and have been named in the Top 100 Lawyers in the state. Contact us today for a consultation. Attorney Advertising – Prior results do not guarantee future outcomes.